The Datsun GO+ builds on all the elements of what has made the GO a success in South Africa and further appeals to young, adventurous up-and-coming motorists looking for a car that is flexible and will carry their growing families in style. 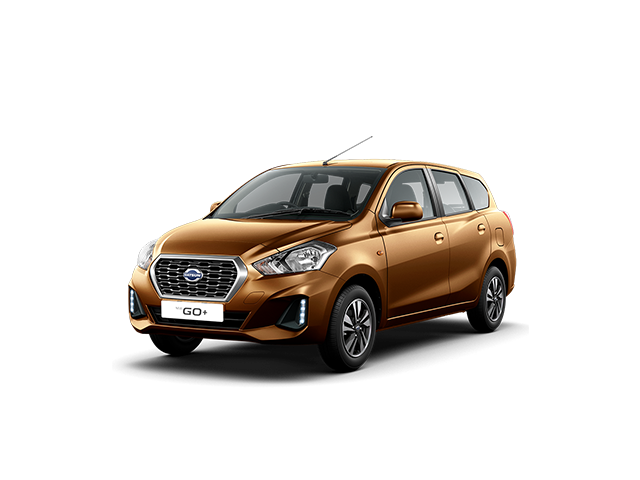 Best of all, in true Datsun tradition, the GO Plus comes at a price that will make getting behind the wheel a lot easier for the young South African family. Offering seating for 7 the Datsun GO+ is a truly versatile multi-purpose vehicle (MPV) offering exceptional value, fuel economy and maintenance at an attractive price. Also available in Panel Van configuration. First time buyers with young families needing reliable transport and additional space for seating, comfort and storage, need look no further than the Datsun GO+. Highlights include plenty of space for all of life’s adventures as well as safety features such as a driver’s side airbag, seat belts for all passengers, large disc brakes upfront with drums at the back, and power steering. We already carry all our favourite music and apps with us in our pockets. With the Datsun GO’s Mobile Docking Station (MDS) you have access to your satellite navigation, hands-free telephone, USB charger, music player and radio all accessed from your mobile phone – instead of being restricted to a radio and, perhaps, a CD player. *IMAGES USED ARE FOR DISPLAY PURPOSES ONLY AND MAY NOT SHOW EXACT VEHICLE SPECIFICATION. PLEASE CHECK WITH YOUR SALESMEN WHEN ENQUIRING. Terms and Conditions Apply.